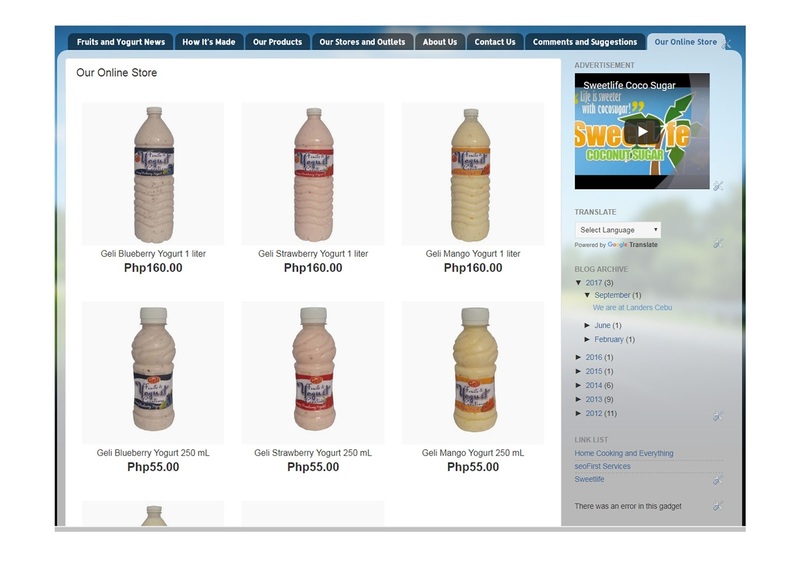 Geli Foods launches its new Cagayan de Oro Online Store! Geli Foods launches its new Online Store for Cagayan de Oro market. 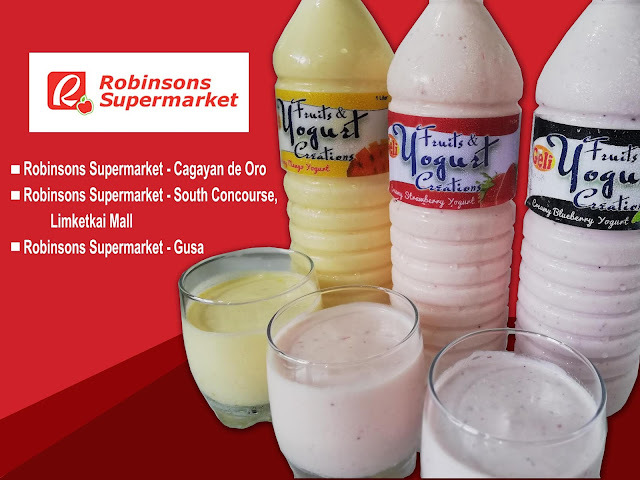 Cagayan de Oro customers can now order their favorite Geli Yogurt online at Geli Foods Facebook Page, Geli Foods, and Fruits and Yogurt Creations Websites, choose payment thru Paypal or COD, and we will deliver it for free with just a minimum purchase of Php 500.00. 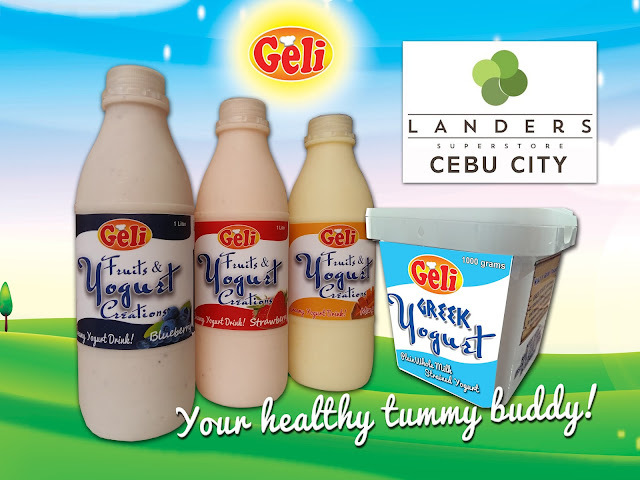 Geli Fruits and Yogurt Creations, in new packaging, and Geli Plain Greek Yogurt now available at Landers Superstore Cebu! Landers Superstore Cebu is a membership store that offers wide selection of local and premium international goods. It is located at 23 Minore Park on Cardinal Rosales Avenue corner Pope John Paul II Avenue, Cebu City. Geli Yogurt, your healthy tummy buddy! Thank you Quest Hotel Cebu for choosing Geli Yogurt to be included in your breakfast buffet! 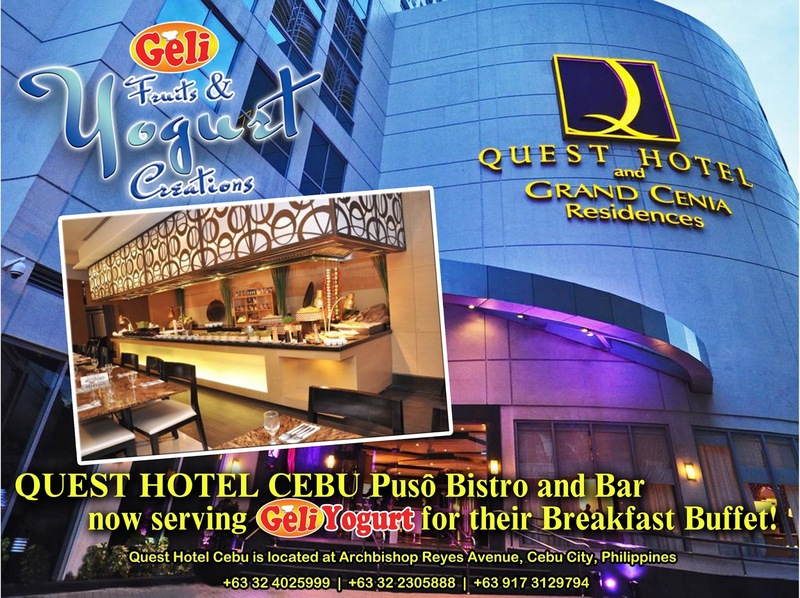 Guests can now taste and enjoy the healthy and nutritious Geli Fruits and Yogurt Creations at Puso Bistro and Bar! GELI FOODS had relaunched its pasteurized milk line by offering Pasteurized Fresh Milk, Pasteurized Chocolate Milk to Cagayan de Oro, Gingoog, Butuan and Tandag City Markets. 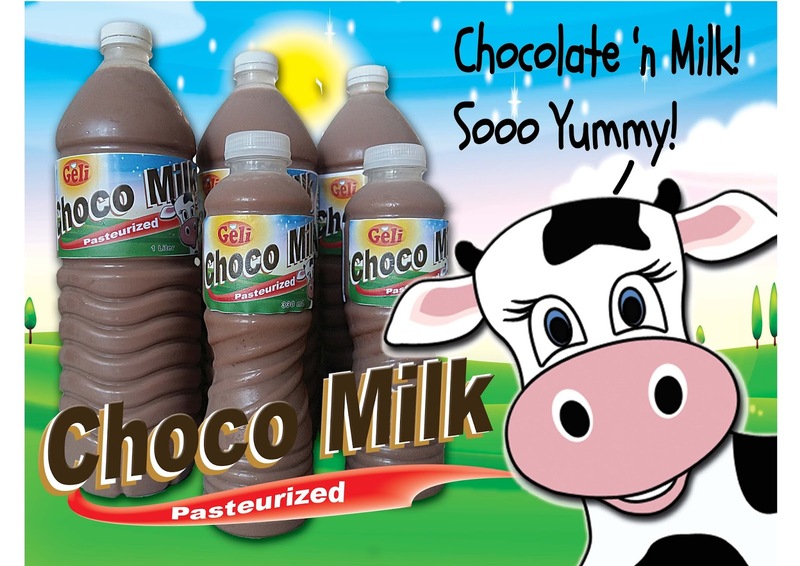 Packed in 1 liter and 330mL Pet Bottles, we will deliver Geli Plain Fresh Milk, Chocolate Milk, right at your doorsteps in Iponan, Cagayan de Oro City every Friday morning. We have also a door-to-door delivery service in Gingoog City and Tandag City in a pre-scheduled dates. In Butuan City, our products are available at OTOP Pasalubong Center, Gaisano Mall. Other dairy products of GELI Foods include Blueberry, Strawberry, and Mango Yogurts, Plain Greek Yogurt, and Milkbars in Chocolate, Ube, Strawberry, Mango and Durian Flavors. For orders and deliveries, PM us at www.facebook.com/fruitsandyogurtcreations or text/call at 0916 515 7069.